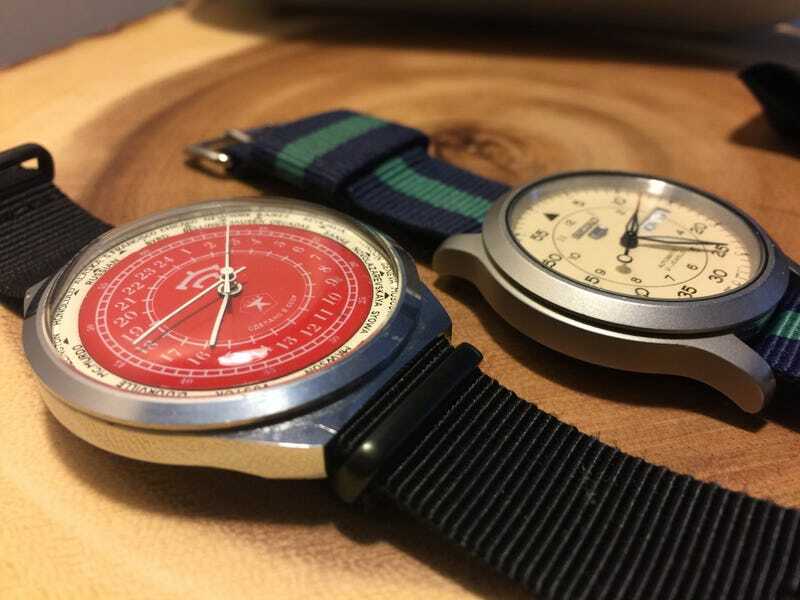 My newly running Soviet watch next to my seiko 5 which I believe just has a broken pendulum connection (If thats what it’s called that propels an automatic movement). I love having a watch again! Also I prefer this simple time only mechanical movement. Simple is good. I should know the date inherently and moon phase... I’ll look up in the sky. It is surprisingly accurate and seems like a robust movement. It’s a little rough around the edges, but a gorgeous watch. I’ve gotten many compliments already.